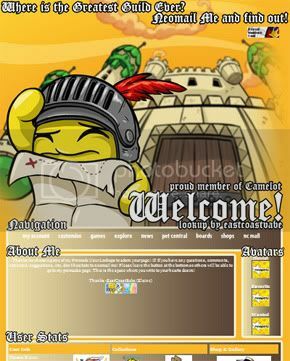 My Account | Customise | Games | Explore | News | Pet Central | Neoboards | Shops | NC Mall Total Premade Lookups: 164!! Having difficulties with coding? Did you change the style tags? Click Here to see what to do. Any other problems please Neomail Me! Please remember to change the style tags of the coding! Click Here if you do not understand or here to neomail me. Sorry, sorry SORRY for the lack of... well... anything on here! The last time I updated was RIGHT before I got a promotion at work, so now I'm working a lot more and just haven't had time for userlookups :(. Before I start making more premades I'm going to recode all the userlookups to take position out from between the style tags. That is the reason why the style tags in the coding aren't correct right now. Once I remove the postion from inside the style tags than all you'll have to do is copy, paste, edit your about me section and then save. You won't have to take the time to find those pesky style tags and change them. SOrry again for the lack of updates. I do try to get on everyday to do my dailies, so any questions, go ahead and neomail me! I'll keep you updated on my recoding progress!!! September 26th, 2011 - Another Faerie Userlookup - Crafting Faerie! 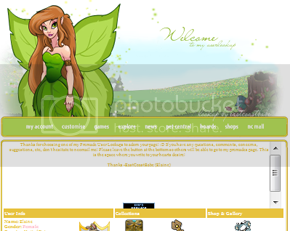 Another Faerie Userlookup for you all! The Crafting Faerie! Here is another one before I go into work tonight! The Fountain Faerie! 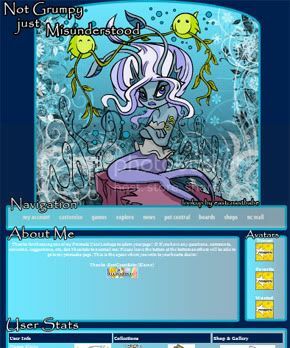 September 19th, 2011 - New Userlookup - Water Faerie! Okay, so new userlookup, just a day later than I anticipated. 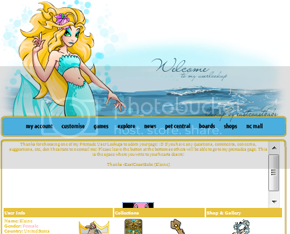 Newly added - Water Faerie! I be a 'splishin and a 'splashin! Had time for another one tonight! The Battle Faerie! This means war! Got a spare deck of cards? September 17th, 2011 - Sorry! Sorry for not updating anything in well over a month! Work, softball and the likes took up my time. I also got a new computer and had to move everything over and that took awhile as well. I'm glad to say I'm back and will be making more userlookups soon! I hope to have atleast one more up this weekend! Any questions, etc. just neomail me! August already!? Geez, time flies! Here is another reason my time went by so quickly - another premade! The Light Faerie! I was able to fit in one premade before I have to go to work tonight! Behold! 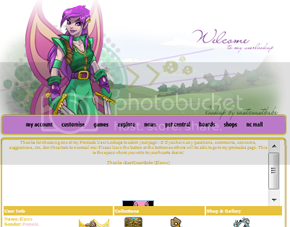 Another Fire Faerie Userlookup! 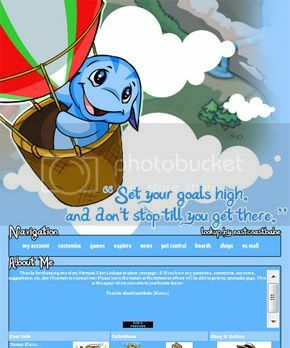 July 30th, 2011 - New Site Designs! Lookie Lookie Lookie!!! I've spent the last three days designing and coding the new site for you all! I liked how the last one had so many boxes for each thing, but this one I believe is easier to navigate the lookies... and it just looks a bit cooler, don't cha think? I hope you like it! Any questions, comments or any suggestions for them would greatly be appreciated! Okay, so on to the filters: userlookups are fine by what I've seen on the Help Chat, except now the neomail filters have been going crazy. I wasn't able to neomail anyone for two days at the beginning but now I can, although I have seen many people who still aren't able to send anything because the filters block the simplest things. Now, on to premades! I am working the next two days, however I am on this upcoming Monday! Hopefully I'll be able to sneak in some computer time inbetween cleaning to make you all one or two more premades! Wish me luck! Looks like TNT is messing with the filters again. Now when you try to edit your userlookups it says "Error 1: Please do not use foul language in your profile, this is a childrens site." Hopefully nothing too drastic happens that I have to redo the coding again, because that would mean a longer time between new content. Speaking of which, I'm making a new userlookup for myself and redesigning the design for this site! I'll keep you updated on the filters and the site update! Up next is the Earth faerie! I started this one yesterday but didn't get a chance to finish it until today! Another lookup before I leave for work today! The Dark Faerie! I am off this weekend, so hopefully I can add more!!! **Sorry about the line on the top image, that's just part of the screenie I took of the final product, there won't be a line like that on the actual lookup. I hope all my American users had a great Independence Day Weekend! I know I did, which is why I didn't get on at all during the weekend because I wasn't home! I have however, made up for it by finally finishing a lookup I started before the Altador Cup started! 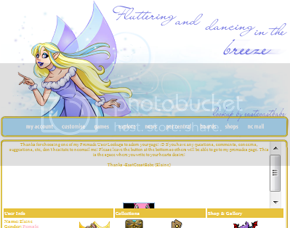 I hope to have all the other new faerie looks with this same basic layout done by the end of the month! Okay, I'm ALL caught up! 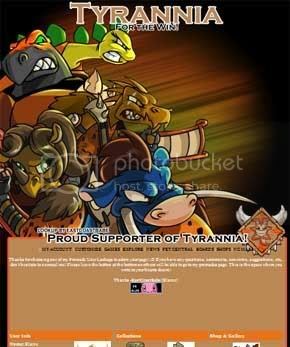 Here is Tyrannia 2011! Now to continue working on the premades I was doing before the Altador Cup started! If you believe I missed a background from this year or a previous year, please neomail me! Again, sorry for the late late updates and slow additions of Premades... my schedule isn't what it used to be for sure. I was able to get one done so far today, hopefully I can get another 1 or 2 done as well. Lost Desert 2011! 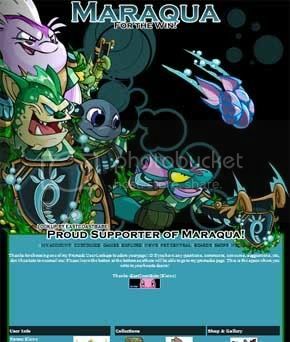 Next up is Maraqua 2011! Sorry for the lack up updated content. New promotion at work is eating up my time, plus the summer softball season has started :) Anyways! I went through my affiliates/listers and removed anyone who was closed or no longer had my button/link on their site. If you would like to be an affiliate or to list me, please Neomail Me! I don't know when I'll be able to make more userlookups... perhaps tomorrow. June 1st, 2011 - Altador Cup has started! + New Userlookup! May 31st, 2011 - Altador Cup - Faerieland 2011 + 5 more! Some of the teams were updated this year, and besides team members, some logos were updated! 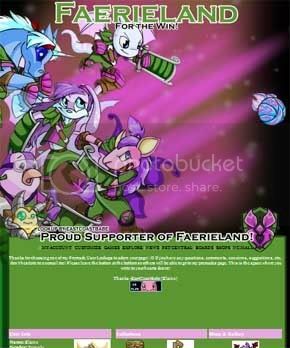 Faerieland's logo was updated with a new colour scheme! Green was added for the fact that they are now on the ground surrounded by greeeeeen!!!! I'll try to update all the ones for this year and for 2010 that I have to get to... work has been hectic lately and I haven't been able to get on! Sorry again for the late update! we had to buy new uniforms too! I'm going to try and finish the rest of the teams that have had updated team members the last two years... 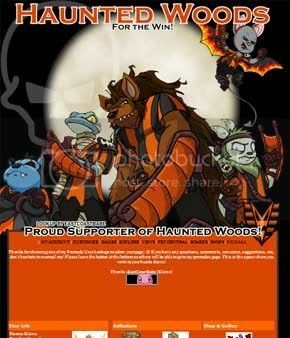 Here is Haunted Woods 2010! 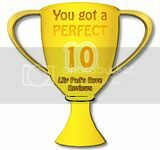 10 more userlookups to go! Yo ho, Yo ho, our Pirates team will win! I think this is the most I've made in a day so far! 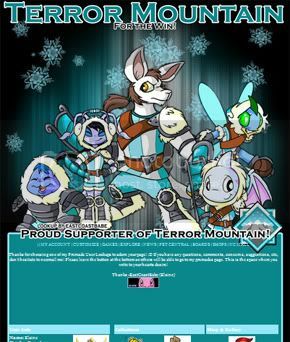 Terror Mountain 2010! 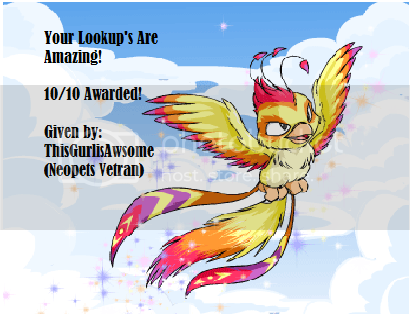 7 More userlookups to go until I start another type! Woot! 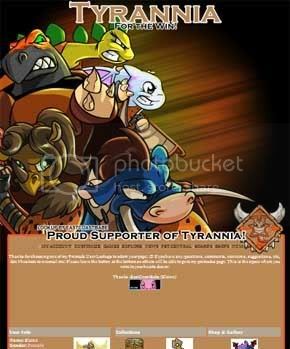 Tyrannia 2010! Another Altador Cup Layout! 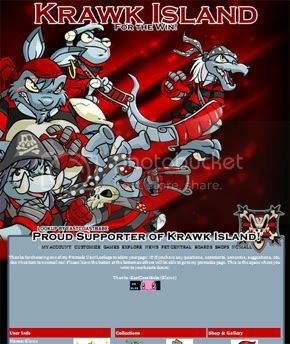 The Krawk Island team from 2009! Check it out! and yooyus are the focus. Altador Cup is almost here! Here is another lookup from 2009! 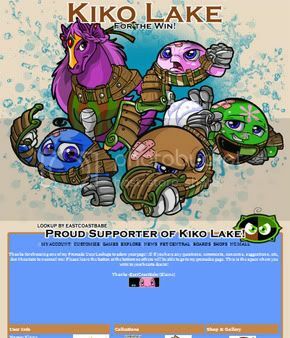 Kiko Lake! Too bad the games arent held underwater. We'd be undefeated! I hope to have the rest of the year 2009 updated images (I think there are two that are different from the previous years) done tomorrow. April 24th, 2011 - Happy Easter! Happy Easter! Here's a treat! A new userlookup! Bug Bug Buggy; I'm Buggin you! 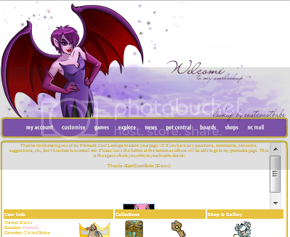 All my sub premade pages have been updated with new layouts. They now match this layout (albeit but different colors). Hopefully it will be easier to navigate! Any problems, please neomail me! April 18th, 2011 - Last 2008 Altador Cup Lookup! Finally finished the last of the 2008 Altador Cup Premades! 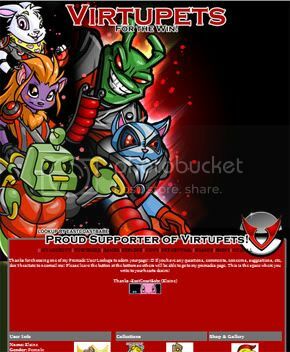 Here is Virtupets 2008! 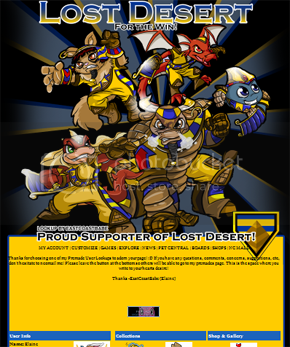 April 12th, 2011 - FAQ and Another Premade! I was able to add another Altador Cup Userlookup. Image from 2008! Also added my FAQ. Please read it before neomailing me. 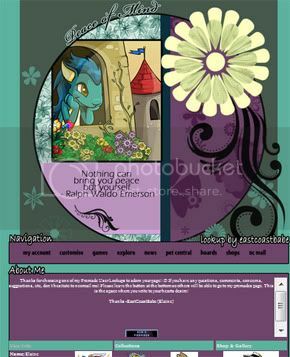 April 11th, 2011 - New Portal Page! Again! Another New Portal Page! I just didn't like the end result from the last one. This one has everything divided nicely and hopefully it's easier to navigate! I am off of work tomorrow, so I hope to get atleast 2 more Altador Cup userlookups completed :) Still tweaking and adding a few things. 12pm NST: Now that the Daily Dare is over I can get back to working on my premade userlookups! But before I get started on making new ones, I'm going to recode the old ones so that it is easier for you to copy and paste the coding instead of having to change the style tags (I know its obnoxious, but it was the only quick option I had until I could do a thorough recode). I'm off the next two days so hopefully I can get the majority of them fixed. After the recode I will continue with making more Altador Cup userlookups seeing as the AC will be starting again soon! Sorry I haven't updated anything, Daily Dare games take up most of my time and I still have yet to beat AAA at Nova Defender. I'm still 17/17 on him though on the first day except on Nova Defender... That game makes me go GRRRR! I am off tomorrow so hopefully I'll be able to beat it, make another userlookup and get the coding to work so that I don't have to have the style tags surrounded by corner brackets instead of the necessary inequality signs. 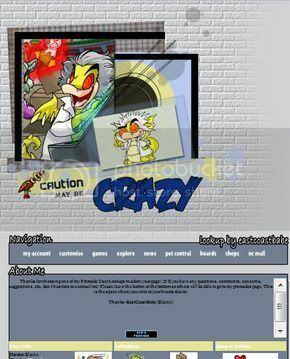 March 8th, 2011 - Updated Portal Page! Finally able to get around to updating and recoding my portal page! Some of the links on here are still under construction, but all the important ones are there and working! I was able to make another Altador Lookup! Roo Island 2008! Check it out! March 1st, 2011 - Daily Dare! Happy March!!! With March comes the annual event of the Daily Dare! 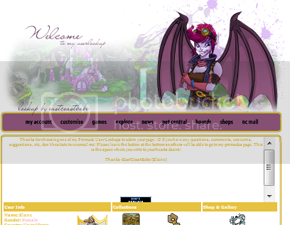 I have made myself a snazzy userlookup for the occasion as well as a premade! Click the above image to check it out! February 28th, 2011 - Another Userlookup! Just made another userlookup for my Altador Cup Premades! February 27th, 2011 - New Lister and New Userlookups! I am newly listed at Android! Also purged my affiliates and listers. If the site had been not updated this year I deleted the button. To be affiliates or if you would like to list me, just send over a neomail! 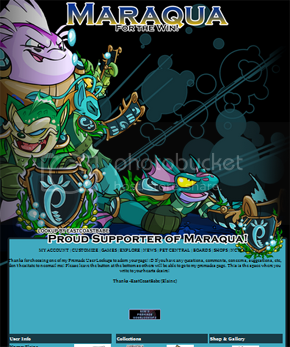 Also continuing my quest to finish all the Altador Cup Lookups, here is Maraqua 2008! I hope to have 4 more up by Tuesday evening because I'm off the next two days! woohoo! To celebrate my lookups being back in the world, I made a new premade! I need to start adding more Altador Cup layouts with the images that are changed each year. 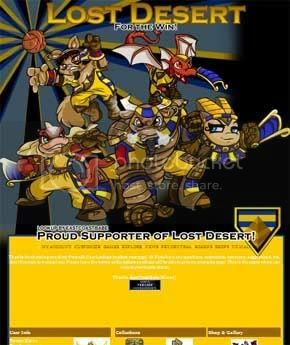 Presenting: Lost Desert 2008! Get ready for some pain! I hope to get the rest of 2008 rolled out soon and start on 2009 and 2010... I have a lot of work ahead of me! Like always, any questions, comments, suggestions, etc please neomail me! I do not have a direct link to my neomail because the links to those are currently blocked, so just visit my userlookup to neomail me! Enjoy! February 19th, 2011 - iPets fixed! I have re-done the coding for my iPets Series. I had to do a complete do-over of them, so it is not the original code that I had previously. Click the iPets button up top next to the meepit to access the page. :) I will work on my other premades soon, the last of them being the Altador Cup premades. If anyone has any problems with the iPet premades please neomail me. PLEASE NOTE! After copying and pasting the code into your edit profile page, you NEED to change the style tags! They currently have square brackets around the style tags and they need to be changed to the inequality signs (the corner, pointy, carrot brackets; whichever you call them). Because of the position codes in the coding the petpage will not save even though they are in textareas. The coding will work for you userlookup after the brackets are changed around the style tags! Any trouble please neomail me! 1:29pm NST - I have just gotten on and am still learning of the new coding issues many people are facing. I am currently not home (at Walt Disney World WOOT!) so I do not have the time to fix any userlookup or petpage problems my pages are experiencing. I will not be able to do anything until Wednesday the 2nd of February. Sorry for the inconvenience but it's not my fault! Please bare with me while I'm on vacation! Also newly listed on Little Black Book under Premades. Click the button below to check 'em out! January 23rd, 2011 - Another Lookup! I made this one the other day but didn't get around to uploading it until today! It features the Mad Scientist! It is located in the Specific Species section under Scorchios! Also went through my affiliates and listers and deleted anyone who does not have my button or no longer has a page. Remember, affiliates and directories are always opened! January 18th, 2011 - Lookup! So I was able to make one tonight before I call it quits for the night! The Happiness Faerie! She is lovely, isn't she!? Sorry I haven't updated this in over a month! The holidays are just so busy for me IRL that I just don't have enough time for my userlookups! 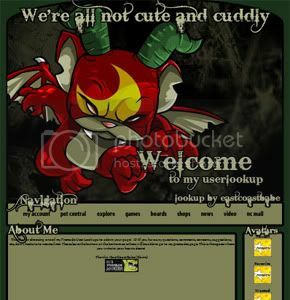 I just recently made a new guild layout and guild webbie for my guild (sorry, requests are still closed and I don't make guild lookups) and then made myself a new userlookup (look at the cute polarchuck!). I'll try and get to making more userlookups soon, but I'll be going to Walt Disney World in a week and I don't know how much time I'll have between now and then. I'll try and get one more in, my goal is 3! I love receiving the wonderful neomails that I get! And such great suggestions! Keep sending them and I'll put them on my list! Like always, thanks again for visiting my userlookups and if you need anything, don't hesitate to neomail me! DONT FRET! All you need to do is log out of your account, log back in and VOILA! It should be fixed. This is a common error going around right now (seemed to happen right after Habitarium was added to the userlookups). If logging out and logging back in does not seem to do the trick, try a different browser. If it STILL doesn't work, empty your 'cache' on your browser. If it STILL won't work... well I can't help you out anymore then to tell you to submit a bug report to TNT. I'm sure they know about it and are trying to fix it. I'm going to tweak a few things for the premades that will show the Habitarium if you have it but it will look normal if you don't. Please be patient! New Lister has listed me! Check out their directory! Happy Thanksgiving to those users in the U.S.! As predicted, the Habitarium has a box on our userlookups. Because of the holiday season, I am extremely busy for my job, so I am currently not able to sort out adding it to the userlookups. If you have not started playing though it will not show up! :) I do not have a day off of work until next Wednesday! And I don't know if I'll even be able to get to it then, but hopefully before the new year (I would say most definitely because I don't think it will be a difficult fix). Please be patient! 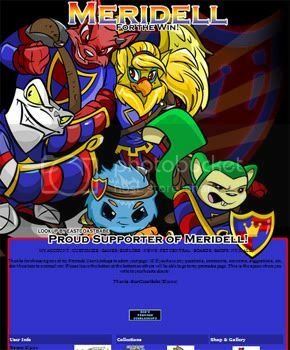 My life is not spent on Neopets! Went through my affiliates and where I'm listed. If they were closed or no longer had my button I removed them. Affiliates ARE open, so feel free to neomail me with your request to be added! I got Member of the Month for October in my guild! yay! :) Sorry for the lack of Userlookups the last few days, during the week I have things taking up my time in the real world. I hope to get at least 4 more userlookups added over the weekend! I'll keep you all posted! 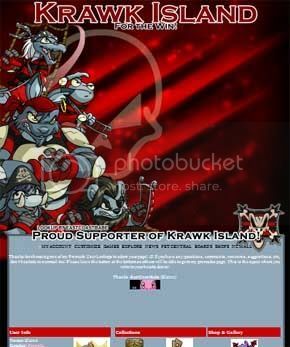 Click the above button to see our guild webbie! So TNT has taken down the extra box on userlookups... for now... But speculation is still up that it will be for Pet3 Habitats (now called Milton Clodbottle's Astounding Habitarium or Habitarium for short). Snarkie's userlookup had a broken image in that box and her 'level' which was 5. Only time will tell on when this game will be launched and how much it will effect my premades. Hopefully it will be an easy fix! On a new note, a new userlookup! I know it's a Valentine's Day Userlookup, but I just wanted to make one - more Winter Holiday userlookups are coming soon, and perhaps 1 or 2 Fall/ Thanksgiving userlookups! Take a looksie at the new lookie! I'm going to add the userlookups that I have started but not completed now. First up, Caylis and another guild layout for the members in Camelot!! November 3,2010 - Lookup redesign? Uh-oh... people have noticed that TNT has started playing around with userlookups again and now there is another box being added to the plain ones. 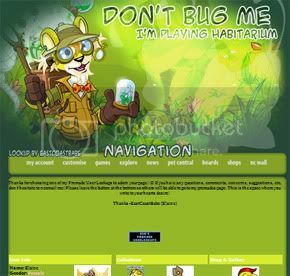 In the coding it is labeled as "habitarium". 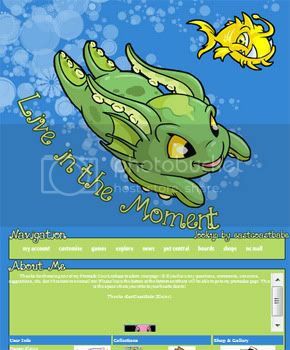 First thing that comes to mind is Petpetpet Habitats, but they haven't been released from the limited beta and there hasn't been much news or updates concerning it in a while. All we have right now is theories and speculation, hopefully they won't add or remove anything that will take me too long to re-do 200+ premades... because that would stink! Since I am fearful of what might come out this I'm going to put a halt on making anymore premades and just work on my pet lookups because they really need a makeover. If nothing becomes of this and it was just a fluke then I'll continue with making the premades! Cross your fingers everyone! Are we finally going to get more homes!? I'm listed in two more directories! Check them out! I don't have work tomorrow so I might be able to make and put up more userlookups! yay! October 31,2010 - Happy Halloween! New Lookups! New Lookups! Kiko & Kyrii! 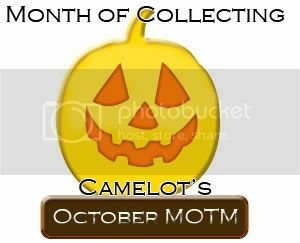 October 30,2010 - Happy Almost-Halloween/ more Affiliates and Listers added! 8:15 pm NST: I'm starting to get back to doing the basic Neopet Species Userlookups. First up! 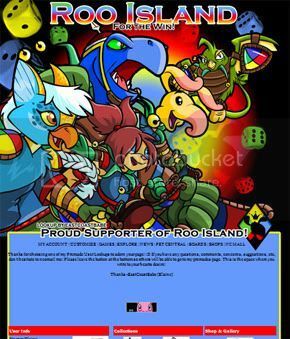 A new poogle and a new Acara userlookup! And an Amira one too! Looking for Halloween-themed userlookups? Click the image below! Go check out the rest of my affiliates and listers on the left-hand side of this page! 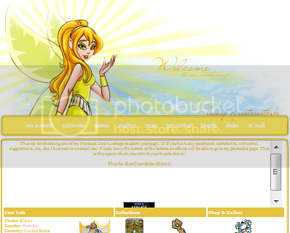 12:24 pm NST: Finished another premade userlookup that I've had sitting there for a while. 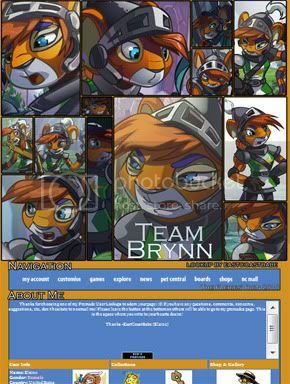 It is just like the Team Hanso I have but this one is Team Brynn. 9:05 am NST: An hour gone and an hour of work! The layouts of all my pages for my premades have been updated with current and relevant links at the top! Yay! 8:07 am NST: Okay... so never mind, easy fix! Back to work on the layouts! Yay! 6 am NST: Apparently "No sticky paws" and the like aren't sufficient enough to get across that I don't want people stealing my userlookups, coding, etc. So I've added a little quote (by muah) to my portal, my personal main userlookup and I will be adding it to the pages of my premades when I start to redo them. 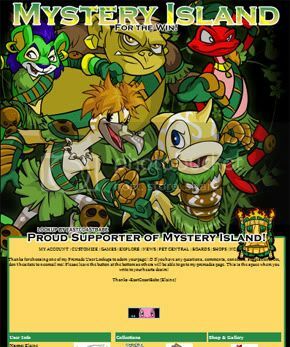 Please again, stealing is theft and is not condoned on neopets. Please read the last questions and answers on this editorial and this editorial. 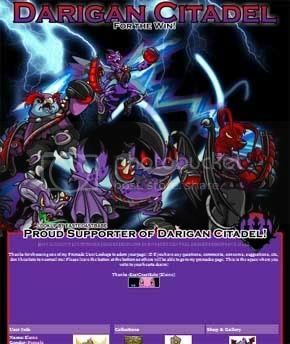 October 26,2010 - New Portal Page! New Portal Page! I've been meaning to do this for a while. I finally had a day off from work, softball practice and the other things in my life that are slowly taking over my Neopets time. TA-DA! So what do you think? Please send me a neomail with any suggestions for this page! So the battle is on to save our Faeries! As of right now I have a total of 6 Faerie's Ruin userlookups. Give them a Looksie!. I'll try and get a few more done, but I can't guarantee anything. Affiliates ARE indeed open, so please send me a neomail with your page link and I'll let you know! I'll also take any suggestions on what kind of premades you would like to see! 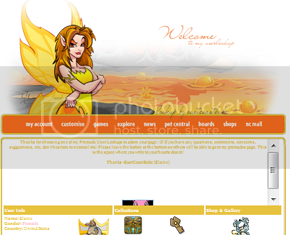 Unfortunately I do not take requests for personal userlookups and I do not make petpages, guild layouts, shop layouts or pet descriptions. I hope to update this every time I add userlookups or make changes to anything! Keep a look out! Will you make me a userlookup/guild layout/petpage/etc? No, sorry, but all custom requests for anything are closed. You're more than welcome to neomail me with suggestions on new content though. Can I use your coding but use my own images? I will still credit! No; whether you credit me or not, I still do not allow it. If I see any part of my coding I will report it to TNT. If you want to create your own userlookup, use a Coding Help Page. Can I use your images? I really like them, but want to use my own coding? I will credit you! No; just like the above question and answer, I don't care if you do credit me, it would still be considered stealing as I have stated I do not want my coding and images used for anything else than what I have specifically made them for. If there is a something on your lookup I don't like, can I alter it? No, definitely not. The only alterations a person is allowed to make are to the 'about me section' (taking out what I typed and writing about yourself) or if you want to change the color of a FONT in the coding (*not the image). The link back button must also always be on there. If anyone sees the link back button missing, or anything taken of mine in general, please neomail me. How come my coding will not work!? What browsers are your premade userlookups compatible with? My userlookups work in the latest updates of Google Chrome, Apple Safari, Internet Explorer, Flock and Mozilla Firefox. If you have a browser other than the 5 I have listed, and my userlookups work with no problems please neomail me and let me know which one you are using! (Also the version) If you have a problem viewing a userlookup in one of the browsers I have mentioned, also neomail me and let me know which browser you are using and the version it is. On some of your premades there is a section for avatars. How do I replace the default avatar with another avatar image? Why are you not answering my neomails? I probably wasn't on at the time you sent them. I do try to get on daily... but I do have a life, a job, sports, etc. Can I be an affiliate / Can I list your site? You most definitely can! Just neomail me! I will only decline affiliates if I deem your page is inappropriate to be able to link from my page. Why did you remove my affiliate/ link button? I check my affiliates and listers about once a month. If I do not see my button/link on your page or you have closed shop, I will remove your button. Do you want to be a join forces and make a site with me!? Thank you, but no. 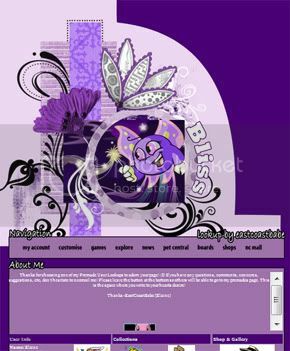 I strictly only make premade userlookups for my own premades site. 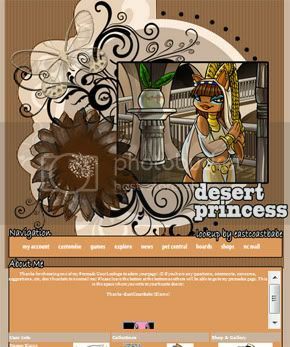 I have no intention of ever joining any kind of other premade graphics group. 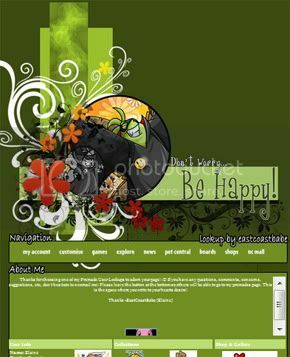 Do you have any premade petpages? As of this moment, no. I have received many requests for them, and I hope to eventually start making some. But as of right now, no I do not. Can I be your neofriend/Habitarium neighbor? Neofriend requests are closed to anyone outside my guild. Can I battle my pet against yours? Battledome invites are blocked as are Game challenges. 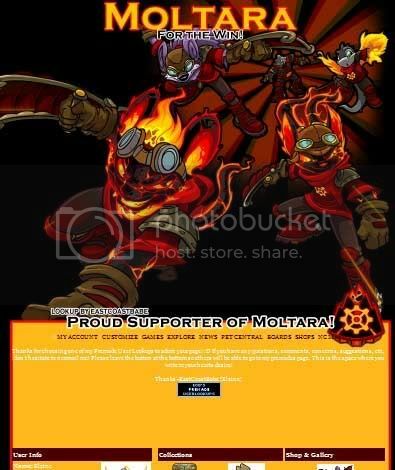 Would you join my guild? I am currently in the best guild I have ever been in and have no intentions of ever leaving. If you're interested in joining my guild, check out this page to see if you meet all the requirements! No, and just for asking, I have blocked you. If you want handouts, try this place. If I cannot understand what you're saying I will not answer your neomail. Try this place for chat etiquettes. I will try my best with online translators, but English is my native tongue. I took Latin in high school. Any other questions? neomail me! Neomail me to become an affiliate or if you would like to list me!